You can ask questions with all email readings. We do not and never have passed on information about our clients to any third party! We are a small family business and your information such as we have it is kept safe and deleted when not required. Scroll down to read Crystal's feedback!! Crystal who has worked as a professional psychic for over 35 years is also a talented 'Past Life Visionary' & Empath with an open and loving heart, who works especially well with emotional problems and matters of the heart. Crystal lives and works in the North East of Scotland, with her Scottish Astrologist Husband Theo, four cats, an aviary of rescued birds, A Border Collie called Poppy As well as rescuing animals, she is a "people person" kind, loving and sympathetic, whose heart is always open and who's home is often a refuge to her many friends and clients. She will ensure that your reading is both sensitive and comprehensive, especially so where matters of the heart are concerned. 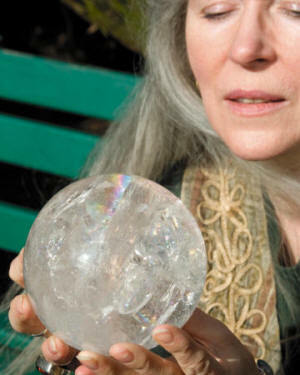 Crystal is also passionately interested in 'past life' and has worked in the field of regression, using hypnotism and deep meditation, and during many readings is able to 'see' into your most recent past life, and will give you information about all that she sees. Crystal is waiting to answer all your questions about Love ~ work ~ money ~ compatibility, and anything else that is on your mind! 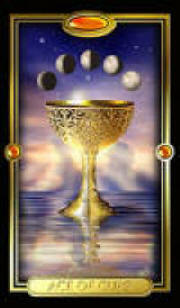 Try a reading today! and let Crystal put your world back into perspective! Please note.. that you can also order Crystals readings by post and pay by cheque/postal order. All email readings (except 'quick' readings) returned in 4 working days, unless marked 'urgent' please note! if you are booking a reading for someone other than yourself, please make this clear on your order so that your psychic advisor knows who to focus on! PayPal Our payment system is powered by Worldpay, and PayPal on our sister site which are the two most secure and respected systems in the world! We value your privacy and will never pass on your comments or information to a third party! "Crystal you are one special lady with a heart of pure gold"
2019....I just wanted to email some feedback to you and say just how invaluable and accurate your readings have been for me overall and the last one is no exception. As a result of your connection things not only transform for me, but aid further growth. Never easy but always works out. I feel you are definitely my mystic of choice and no doubt I will be reaching out again. and has given me insight to cope better with my life, I feel that at least somebody understands, and that means so much already. thank you - and have a lovely Christmas time, and a great New Year ! Thank you for the comfort and wisdom of your reading. It is nice to know there is always a friend to reach out to when shadows appear to clutter the horizon. I just wanted to say a big Thank You to Crystal for the most wonderful reading. Not only did Crystal answer my question, but she also touched upon several aspects of my life, which was so beautiful and empowering! I just wanted to thank you for my reading. You have given me very good advice. One of my faults is being impulsive and trying to make things happen. You have helped me very much and as always I feel thankful that I found your website. You all feel like old friends to me. I would like to thank you sincerely. You words have touched my heart and soul, especially the Karmic information, Past life information, Love information, Conclusion, Future trends….and Guides and Spirit Helpers…. Crystal. I always love to get your readings. This months was excellent and spot on about the finances !! Grateful for the reassurance though. Look forward to next months. "I was overjoyed with the information you gave me! it is very accurate"
"I cant thank you enough, it means such a lot to me"
insightful reading! Your psychic abilities are indeed amazing!!...." "...my reading was scarily accurate Thank you x"
accurate. In one word - brilliant!" ".....MANY THANKS FOR THIS. THIS IS THE SECOND TIME THAT I HAVE CONSULTED THROUGH YOURSELF AND ON BOTH OCCASIONS I AM AMAZED AT HOW ACCURATELY YOU MANAGE TO PIN POINT THE SITUATION AND OFFER GUIDANCE I WILL RECOMMEND YOUR SERVICE TO ANYONE LIKE MYSELF THAT NEEDS A LITTLE BIT OF GUIDANCE. ONCE AGAIN THANK YOU FOR YOUR HELP. " "...Thank you so much Crystal! I am always amazed at how accurate you are with so little information to go on. Thank you also for the extra emails last week, they really helped!" "...and although I thought it was not likely to happen at the time of the reading, it happened just as you said it would, even the timing was right! Crystal! you are spooky!" "Thank you so much! I feel like you are my best friend!" "It is such a perfect, generous detailed reading! I really don't know how to thank you! " 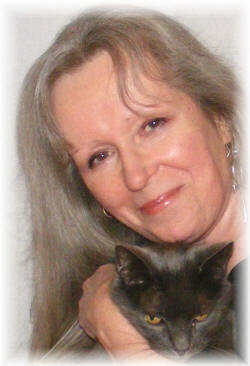 "The information on my current spirit guide and the past-life was fascinating"
"Thank you. You have changed my life....... I am happier than I have been in years. Because of you. Thank you for your help. Thank you for caring." "Many thanks Crystal. I think it will be quite a while but at least I can see a window of hope at last. I will keep in touch. Love and gratitude,"
I send love and blessings to you and I know I can always count on you for an accurate answer. All the readings I have every received from this site have been perfect and turned out to be correct. You must be 18 or over to book readings from this site.